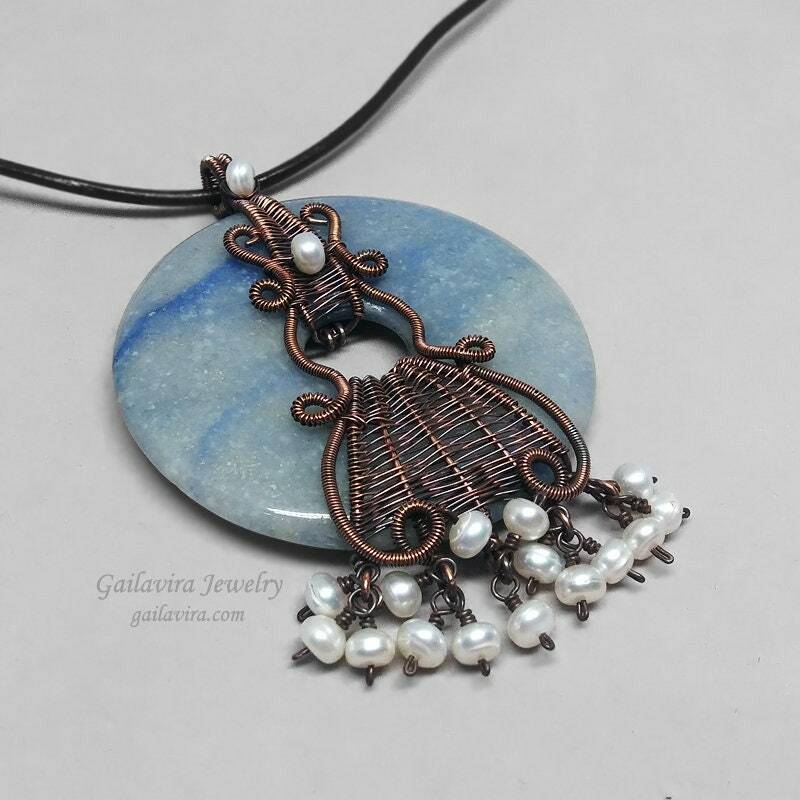 White pearls drip from a copper wrapped blue Aventurine gemstone donut pendant on a brown leather necklace. 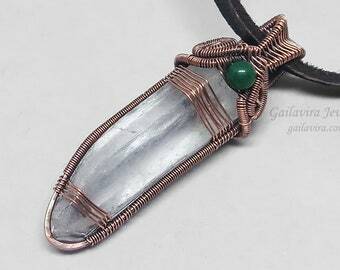 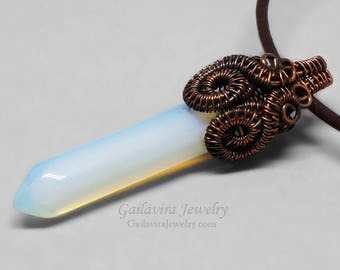 Pendant is approximately 3 1/8" (80mm) wide and 2 1/4" (55mm) long. 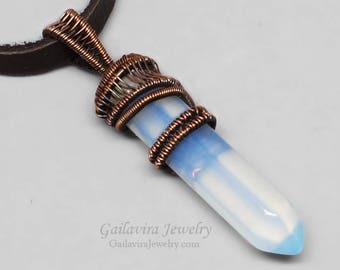 Necklace is approximately 18" (50cm) long.